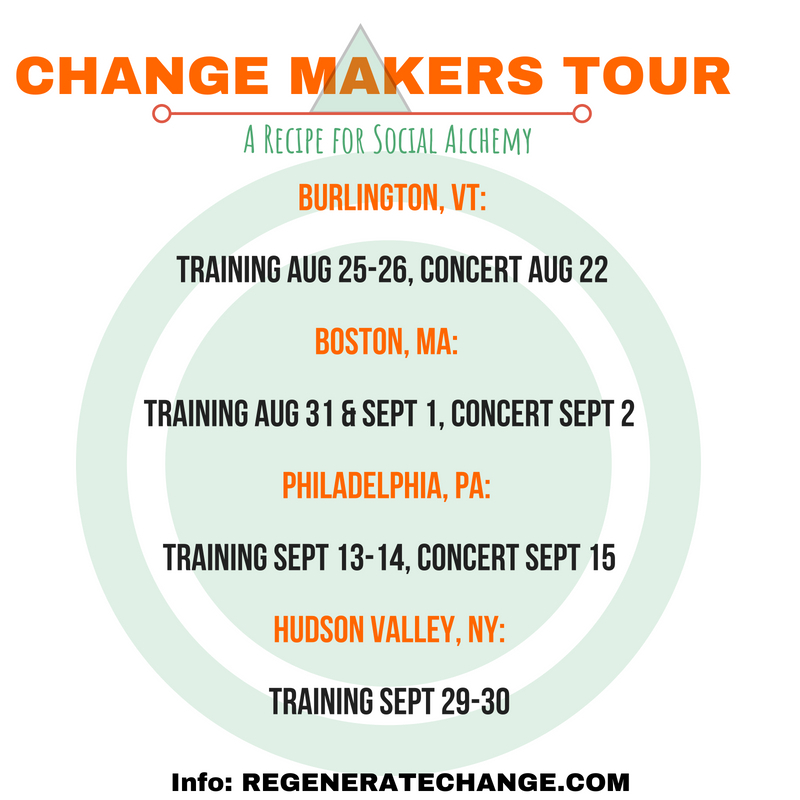 Regenerate Change is an organization co-directed by artists and educators, Jasmine Fuego & Abrah Dresdale that hosts 2 day Regenerative Design for Change Makers (RDCM) trainings. 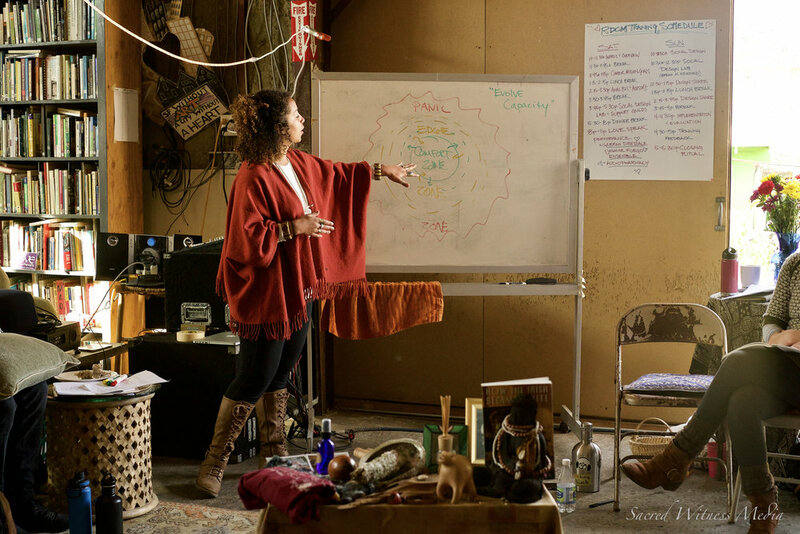 RDCM trainings incorporate the social permaculture design process, mindfulness techniques, and creativity to support participants in designing a regenerative, holistic plan for their projects and themselves in a way that avoids burnout while integrating radical self-care with professional growth. 2.Design method for creating regenerative human settlement systems based in natural patterns and processes. 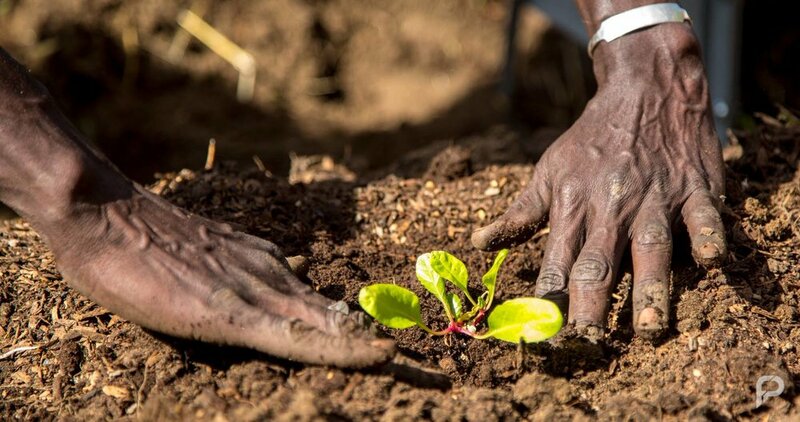 Simply put: Harmonious reintegration of the human community into nature’s design in such a way that land,animals, organisms and humans can live in abundance, productivity and beauty. Bring a current or new project to develop during the Social Design Lab portions of the training.